Glucosamine safety is a big concern of those with osteoarthritis. What are the glucosamine side effects, and is it safe? Glucosamine is a popular amino sugar used primarily as a joint supplement. After vitamins and minerals, glucosamine is one of the most popular supplements in the United States, according to the National Center for Health Statistics. Glucosamine is an effective dietary supplement designed to relieve osteoarthritis and nourish joints. Glucosamine acts as a precursor to glycosaminoglycans, which are an important part of joint cartilage. Decades of research have concluded that glucosamine, especially glucosamine sulfate, acts as a powerful potential treatment for osteoarthritis. Glucosamine is a type of supplement you take daily. That's why it's so important to ensure that you're comfortable with the risk of glucosamine side effects. Glucosamine is generally a very safe supplement, but like any type of dietary supplement, you should always consider the risks before deciding on treatment. The most common side effect of glucosamine is an adverse allergic reaction to the ingredients. It's not necessarily an allergy to the glucosamine itself – rather, it's an allergy to where the glucosamine comes from. 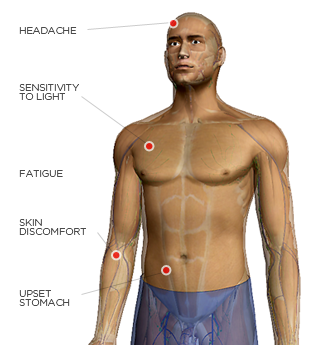 These and other symptoms of shellfish allergies often require immediate attention. Compared to many other supplement types, as well as modern medicine, the safety of glucosamine is well documented. That said, nearly every type of supplement can have uncommon or rare side effects. Some of these side effects may be related to allergies but can occur on their own. These are the most common types of side effects of glucosamine that users experience. Rare glucosamine side effects are also possible. Some studies have shown that users experience nausea, gas/bloating, heartburn, constipation, diarrhea, and possibly loss of appetite may occur, though these occur very infrequently. In some studies, a small percentage of users have experienced a temporary increase in heart rate as a result of taking glucosamine supplements, as well as an increase in blood pressure. Those with high blood pressure or heart health issues may want to check with a doctor about glucosamine safety before starting a joint pain/osteoarthritis regimen. Some studies have indicated some very rare, but potential glucosamine safety risks. However, the data on them is very mixed. These suggest that in very rare cases, glucosamine may increase bleeding risk in those with bleeding disorders. They are also trying to see if glucosamine has any effect on protein removal via the kidneys, as a few patients reported an increase in protein in the urine. However, the results of this research are inconclusive. 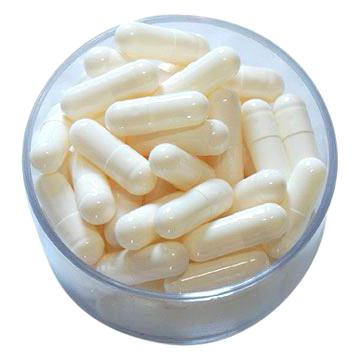 Glucosamine is a widely used supplement, with minimally reported side effects. Even the most common side effects (upset stomach, headache) were reported by very few of those that take glucosamine products. An allergic reaction for those that are allergic to shellfish is a serious issue. Like all supplements, it's also important that you check reviews on the supplement manufacturers. Because of the lack of oversight by the FDA, many companies develop cheap products with little regard to safety, and in these cases, the glucosamine may pick up other nutrients that could be dangerous. However, based on all currently available research, glucosamine is safe to use regularly provided you do not have an allergy. If you suffer from osteoarthritis, glucosamine appears to be an intelligent choice.